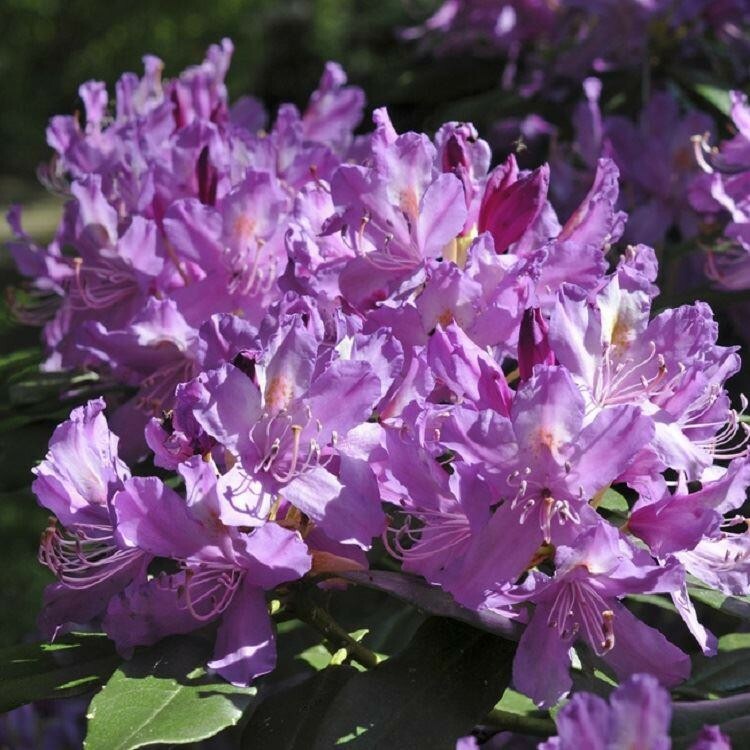 Rhododendron impeditum is a mounding or cushion-shaped dwarf rhododendron with tiny leaves as well as small stature. A mature specimen is a foot tall & as much as two feet wide. A great many of the species rhodies from Yunnan China have violet to purple flowers, but this one is a stand-out even though within the common color range, both for its aromatic silvery grey-green leaves, & for a more intense purple than is typical of the other Yunnan species. 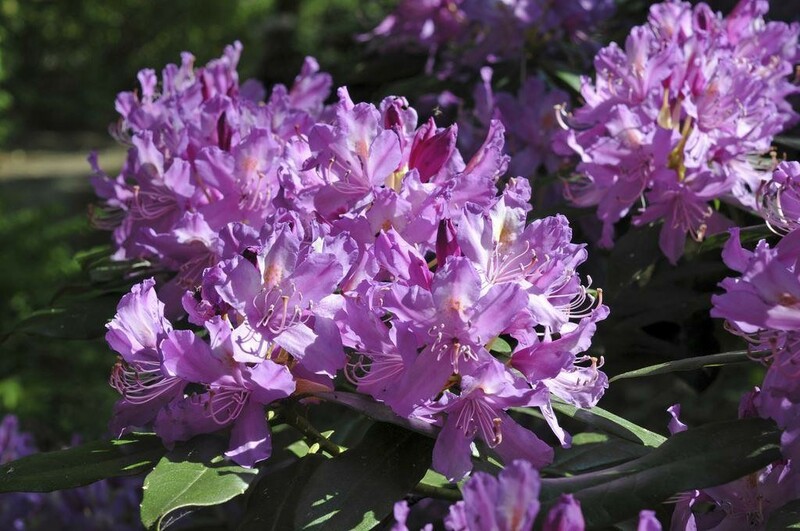 It can be so flowery that the shrub becomes a pure mound of purple for at least THREE weeks around April or May. In your garden it will become a tough low-maintenance little shrub, flowering profusely for spring, & its wee greyish-green leaves turning mahogany or plum colored for winter. Many specimens will occasionally produce a few out-of-season flowers, even in autumn or winter. Supplied in approx 2 litre containers at around 20-30cms tall and 40cms wide, very bushy plants in bud/flower in season.